I was walking around in Asheville and came across this little fruit stand. I wasn't really expecting to see anything special, but I wanted to get some fruit for dinner that night. That's when it happened; fresh figs. I actually made a scene. These two ladies stopped and lookedat me like I was crazy. I didn't care. I was just so excited. I immediately picked some up and saw that they had Kombucha as well. You know I had to grab one for the trip back to our cabin. I patiently waited the two hour car ride we had back to our cabin with my figs in hand. As soon as we got back I washed one and cut into it. I love the color and detail of the inside of a fig. Call me crazy, but I was fascinated! It tasted just as good as it looked. I ate one right then by itself but forced myself to save the rest for oatmeal the next morning. Oatmeal, ground flaxseed, chia seeds, crushed almonds, agave, peanut butter, and figs. Talk about heaven. 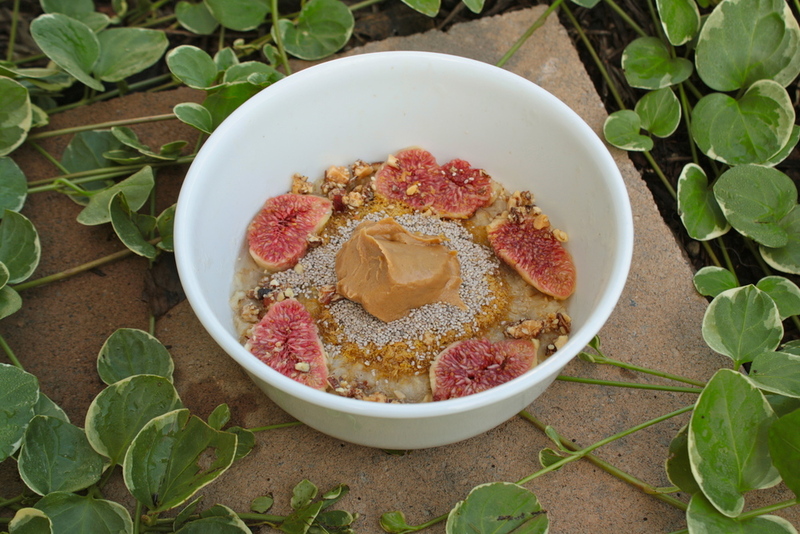 Putting figs in your oatmeal is the best way to start off your day. It instantly brightened up my day and gave me tons of energy to make the most out of my day! 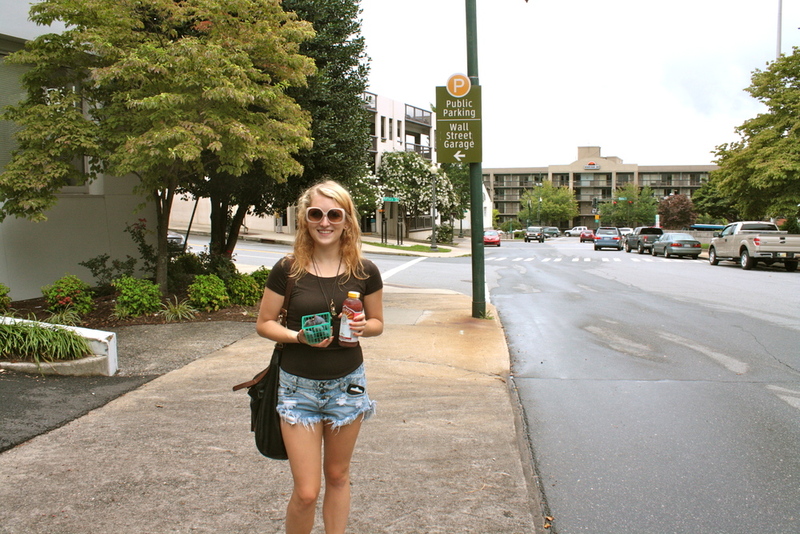 And of course I had to include a photo of me being happy holding my figs and kombucha in Asheville.